TIZI-OUZOU, Algeria (Morning Star News) – Two Christians in Algeria are facing trial after the Muslim wife of one accused them of suggesting she leave Islam, her husband said. 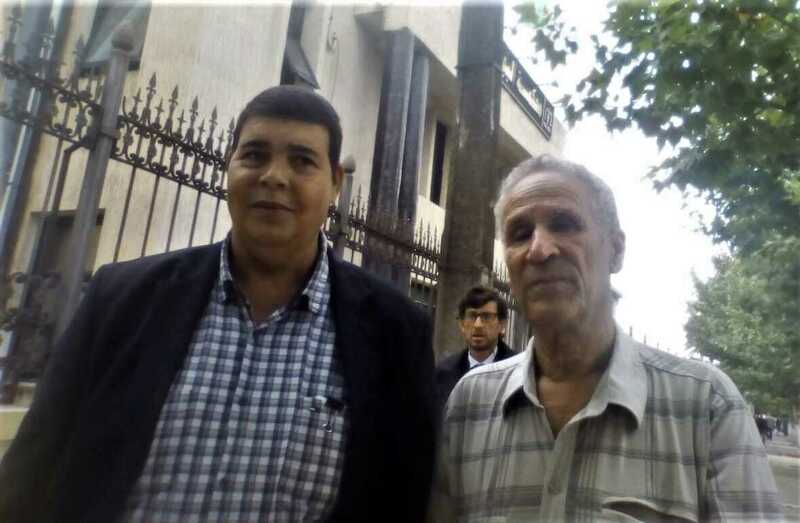 Rachid Ouali and his 67-year-old friend, Ali Larchi, went before a judge in Bouira, some 100 kilometers (62 miles) southeast of Algiers, on Tuesday (Oct. 9), after Ouali’s wife filed a complaint in July accusing them of bringing her to a church service and of urging her to leave Islam, Ouali told Morning Star News. He and Larchi deny the accusations, which Ouali’s wife later told him she made under pressure from relatives, Ouali said. His wife’s name is withheld. Residents of Lekser, 30 kilometers (19 miles) southeast of Bouira, Ouali and his wife went to have lunch at Larchi’s home in nearby Bechloul in late June. Larchi and his wife and five children are well-known in the area as Christians who receive guests of all kinds, Ouali said. Bouira Province lies in Kabylie Region, which has a sizeable population of Christian converts from Islam. As the two wives conversed and the two families were enjoying the meal, Ouali and Larchi began telling each other anecdotes of Christ’s faithfulness in their lives, Ouali said. Mentions of Jesus’ name and exclamations of “Hallelujah” were frequent, he said. Upon overhearing this conversation, Ouali’s wife suddenly jumped to her feet and cried out in anger, “You have brought me here to convert me and to deny my religion. You laid a trap for me,” Ouali said. She left the house and went to her parents’ nearby home, where she told relatives, including two brothers, about the meal. The two brothers, both policemen, demanded that she go to the National Gendarmerie to file a complaint against her husband and his friend, Ouali said. The two Christians’ attorney, Sadek Najib, told Morning Star News that he is hopeful after Tuesday’s (Oct. 9) hearing, when the trial was postponed until Nov. 6 at the complainants’ request. Christian leaders say the 03/06 law is unconstitutional, citing the Algerian constitution’s Article 42, which guarantees freedom of belief, opinion and worship. Islam is the state religion in Algeria, where 99 percent of the population of 40 million are Muslim. Since 2000, thousands of Algerian Muslims have put their faith in Christ. Algerian officials estimate the number of Christians at 50,000, but others say it could be twice that number.